Welcome to the February issue of Literary Mama! There's a lot to love among this selection of rich and diverse pieces, from both emerging and established writers. Creative Nonfiction includes "Ethan and the Question of Death," an essay by Heather Osterman-Davis that begins with the loss of a goldfish, then moves on to delve into the issue of inherited anxiety; and "The Woods" by Kristy Ramirez is an evocative piece about the inevitable process of our children leaving us. Fiction features "Rebellion" by Ama Ata Aidoo, a cleverly told story of an African mother who is tricked into going to the hospital by her three adult daughters. 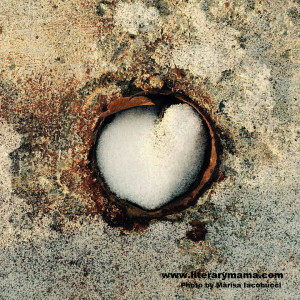 In Literary Reflections, there's "A Love Letter to my Tribe" by Meagan Schultz, a lyrical account of an online writing class turned writing group, and the support that emerged from it; and "Writing After the Storm" by Literary Mama editorial assistant Lisa Katzenberger takes an honest look at postpartum depression and the need for wholeness that motherhood alone cannot satisfy. As well, Libby Maxey's compilation of staff picks related to "Diverse Voices" highlights books that give us fresh and intimate perspective on lives that feel very distant from our own. February's poems seek the sublime in the everyday with: "A Good Day" by Heather Taylor Johnson; "Cold Coffee" by Ashleigh Brown; "Woman's Work" by Danelle Lejeune; and "Yard Duty" by Heather Angier. We have two fascinating profiles this month: Fiction editor Suzanne Kamata details the life and work of prominent Ghanaian writer Ama Ata Aidoo, who has devoted seven decades to the craft of storytelling and has influenced generations of African women writers; and Marianne Lonsdale shares her conversation with prolific Canadian writer Alison Pick, in which the two discuss differences in writing and publishing poetry, fiction, and memoir, and also Pick's observations on winning and judging literary awards. From Reviews, there's Chelsea Burden's fascinating take on Karen Leona Anderson's forthcoming book of poems—"Ingredients of Identity: A Review of Receipt"—which urges us to see the poetry in the ordinary domestic objects of life. And keep an eye on our Blog for up-to-date information on Calls for Submissions; guest posts for our After Page One series; a Writerly Roundup of articles related to craft and the writing life; as well as Announcements, including opportunities to join our team! We are always grateful for your comments, and hope you can share all this good writing with your friends via Facebook, Twitter, Pinterest, and Goodreads. Maria Scala lives with her family in Toronto, where she works as a freelance writer and editor. Her poetry and nonfiction have appeared in Sweet Lemons 2: International Writings with a Sicilian Accent, Descant, The Mom Egg, Literary Mama, PoetryReviews, and Exploring Voice: Italian Canadian Female Writers. Maria holds an MPub from Simon Fraser University. She is a former columns editor, senior editor, and editor-in-chief for Literary Mama.